As a self-published writer, you have to ask yourself some big questions. Which platform are you going to use? Are you going to print copies or just stick with ebooks? When I first decided to use Createspace to print my book, I was a little overwhelmed. What size book should I pick? What kind of cover should I use? Developmental Editing: Two to three weeks depending on your editor. Tanya Gold takes two weeks, and helps you outline a schedule. Book Cover Design: This is the big one. It can take anywhere from two to four weeks depending on adjustments. Because I fell in love with my original design by Natalie Olsen, it only took two weeks. Note: when picking a designer, find someone who is familiar with Createspace and the dimensions, etc. Proofreading: This can be overlapped with the book cover design, as mine was. For me, it took about two weeks. Note: Allot for a week or two between receiving your developmental edits and sending the updates to the proofreader. Interior Formatting: Interior formatting is what makes a book look like a book. I formatted my own book, using Joel Friedlander's Book Design Templates. This took me about a week to navigate. Need help? Try Crenel Publishing. Print Time: Since I'm kicking off the book release with a book launch party, I need to place a bulk order. Since Createspace is a print-on-demand service, this can take a while. I made sure to give myself at least a month of print time, just in case. Free ISBN: pros: You get to keep your money. cons: You most likely won't be able to sell your book in bookstores/lend them to libraries. Bowker ISBN: pros: You are your own publisher. With the free ISBN, Createspace is listed as the publisher. Also, this is a universal ISBN. It's accepted by Ingram, Createspace, wherever. cons: It costs money. Too much money. For more information, read this post from The Book Designer or this one from Ksenia Anske. The Createspace website is very user-friendly. It's designed in a series of steps, and helps you to navigate your way to a published print book. You upload your files directly onto the site and within the next 24 hours they will approve them. Once this is completed, you'll view the digital proof. While it's not necessary, you should order a print copy. I chose expedited shipping, and received it in three days. It's really important in order for you to see what the book actually looks like on paper. From there, you make changes and approve. Trim Size. Yes, you'll have to choose the size of your own book. You'll need to have this fairly early so that your cover designer can fit the proper dimensions. I chose the 5.5x8.5" option, which is pretty common. Tip: Createspace provides templates that you can provide to your cover designer to help with sizing. Page Color. This one is a pretty easy choice. For fiction writers, cream colored paper is the standard. For this one, you'll want to set a release date far out enough that you can get print copies delivered to you—if you're planning a launch party, that is. Additionally, you'll want the extra time for promotional/marketing reasons. If you're a first time self-publisher, you don't need to do any mega-marketing. Focus on writing more books. Still, you'll want to get the book wherever you can. More to come on this later. Discussion Time: What are your Createspace questions? 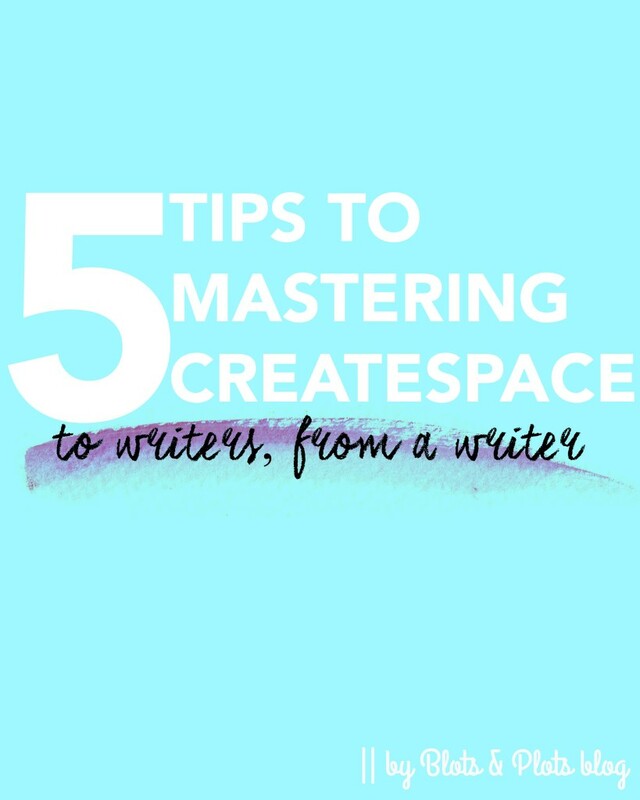 Do you have any Createspace advice to share with us?